I’ve been putting this off and putting this off. But finally the time has come for me to stop with the excuses and do what my Abba Father has put in front of me to do. I am starting a Bible Study at the first of the year, and I’d like to invite you and your friends to come! There’s no pretty way to put it: I believe that we’ve been misled about a lot of things when it comes to God, the Bible and what it really means to be a Christian. So many myths and even lies have been told (by many well-intending people) when it comes to what God is really like, the impact that Jesus can have on our lives, and the power that we can live in, once we understand the truth that lies within the Bible. If you are satisfied with the status quo of “all things churchy”, this study is not for you. If you are not interested in looking at things in a new way, this study is not for you. If you think you already have all the answers, this study is not for you. If you are an arguer, this study is not for you. Then this is a study you don’t want to miss. This is a study for the courageous – for those who are willing to exchange any wrong traditional thinking – for the freedom that we SHOULD be experiencing in Christ! 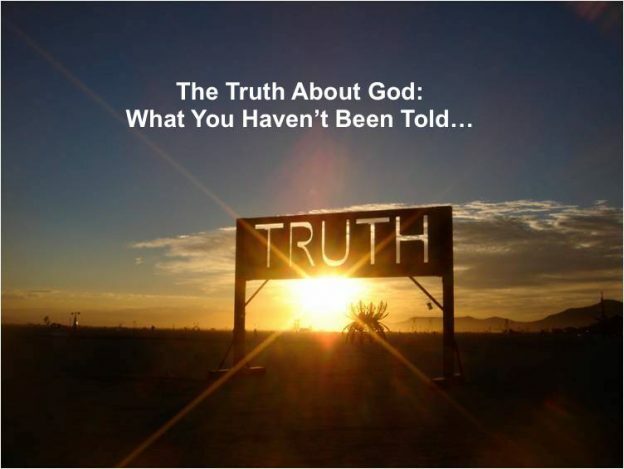 Everything we discuss will originate from our one and only source of truth – the Bible. In it, we will look at scriptures that – if you are like me – have frightened or confused you in the past. We will uncover the true meanings of scriptures by digging into the actual Greek and Hebrew words, which often unveil the truth about what God is REALLY trying to say to us. We will look at the scriptures within the context that they were intended. I believe that by looking at the scriptures through the correct lens, our lives will be changed, and we’ll finally experience the freedom and power that God has promised us! Personal disclosure…I am not a Bible scholar or a pastor. I don’t have all the answers. In fact, this topic is by far the biggest thing that God has ever shared with me, and I feel flat-out inadequate to lead this study – which is why I’ve been putting it off. All I know is, this truth is shut up in my bones, and I can’t hold it in any longer. Where I am weak, He is strong. Along with support and help from my husband George, I know that God’s going to do some amazing stuff. So let’s get together and see what our God has up His wonderful and loving sleeves! We’re only going to meet once a month, so this won’t will drain too much of your time. And you won’t have to prepare before you come – just come. Please email if you’d like to find out more, at info@happyjoylife.com. I hope to see you soon! This entry was posted in Coaching on December 20, 2016 by kHHz9uqIE4UG.